Real Madrid has defeated Leganes 2-1, earning its first win at Santiago Bernabeu in more than a month. With the win, Real Madrid sits in the third spot on the La Liga table with 71 points, while Leganes holds the 16th spot with 40 points. With an eye on the second leg of the UEFA Champions League semifinal clash against Bayern Munich, Real Madrid coach Zinedine Zidane made plenty of changes to the starting lineup. Casemiro was the only regular starter included in the Zidane lineup against Leganes in the match on Saturday, with forward Gareth Bale in the fray from the beginning, Efe news reported. Bale tried from the beginning to find the back of the net, something he finally accomplished at minute 8 with a left foot shot. 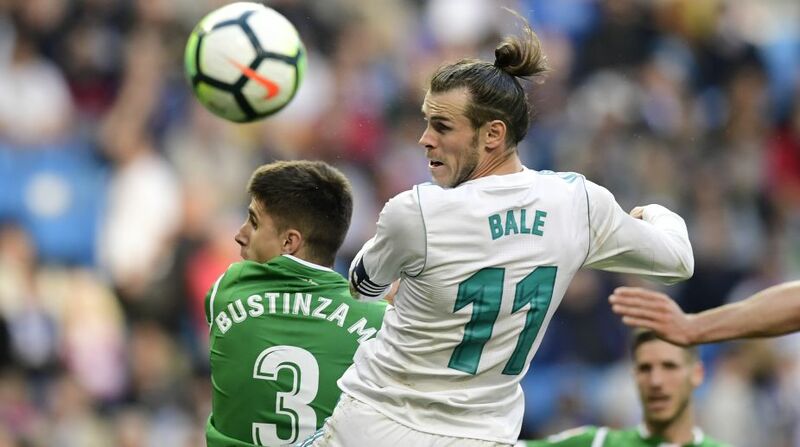 Real Madrid lacked intensity, something Leganes took advantage of, as it threatened the home side goal with Miguel Angel Guerrero firing into the woodwork. However, Mayoral managed to score Real’s second goal in the first-half last gasp. After the intermission, Real Madrid seemed satisfied with their 2-0 lead, but Leganes did not throw in the towel. Leganes’ Darko Brasanac scored a goal off a cross by Nordin Amrabat at minute 66. The visitors were not able to seal their rally although they had plenty of opportunities to draw even.